The most accepted story about the beginnings of the sidecar, or at least its' introduction into recorded history, was by way of a competition in France aimed at solving the issue of carrying a passenger on early bicycles. The sidecar was put fourth by a French army officer by the name of Mr. M Bertoux. Though his version of the sidecar was quite rudimentary compared to modern ones, it was still favored over his competition: a trailer style carrier and a design that sat the passenger in front of the pilot. It was a natural progression once the sidecar became a feature of modern bicycles, that the subsequent development of motorized-bicycles would find also a sidecar variant of the same. 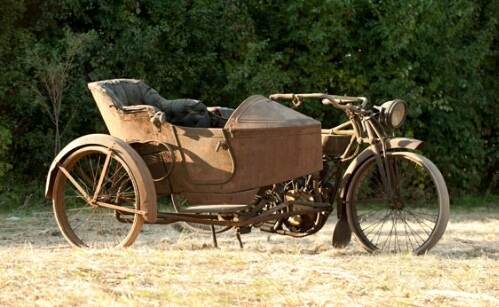 In early 1903, sidecar technology found it's first preliminary patent granted to a small business owner in Enfield, UK. 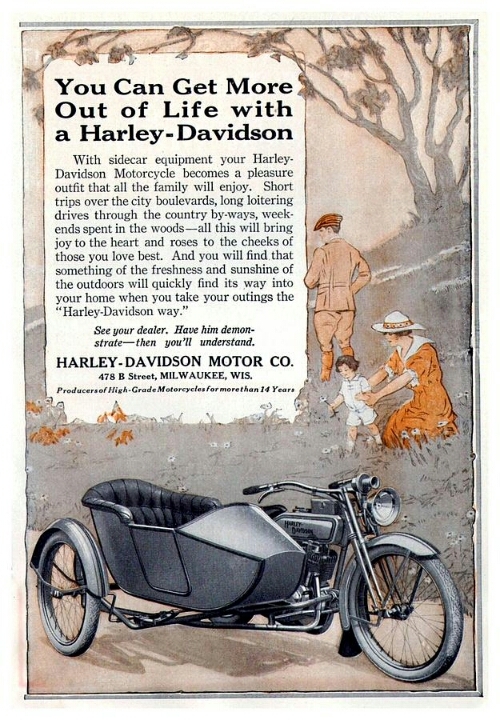 That same year, a sidecar showed up in the sales catalog for the American motorcycle manufacturer Thor. 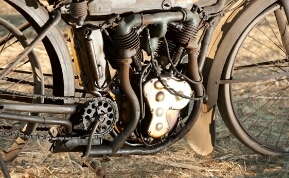 Thus, the birth of sidecars was upon the consumer world. During the years leading up to the First World War, many of the most legendary sidecar and motorcycle builders began producing their own models of sidecars. 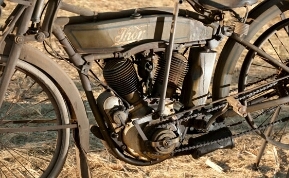 Peugot (France), Harley Davidson (USA), NSU (Germany), Triumph (Great Britain), Frera (Italy), Flxi-Flyer (USA), Watsonian (Great Britain), Steib (Germany) and Indian (USA) all entered the market at this time. The sidecar transformed a novelty that was the motorcycle into a vehicle of utility. Entire families could now fit on a motorcycle fitted with a sidecar, or they could be outfitted with different styles of boxes or platforms to be used for deliveries. They were generally constructed with steel tube and their tubs were made from steel or wood. In the early days they often had a basket woven chair in place of the tub. Sidecar motorcycles were cheaper, more versatile and better suited for the poor quality roads around the world. Stuck in the mud? 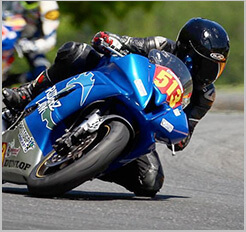 Good luck pushing yourself out with a four-wheel vehicle, but with a motorcycle such a task is much more reasonable. When World War 1 broke out, sidecars were a highly mobile piece of technology that both sides used to their advantage, primarily being used for reconnaissance, dispatch and the quick transport of officers. 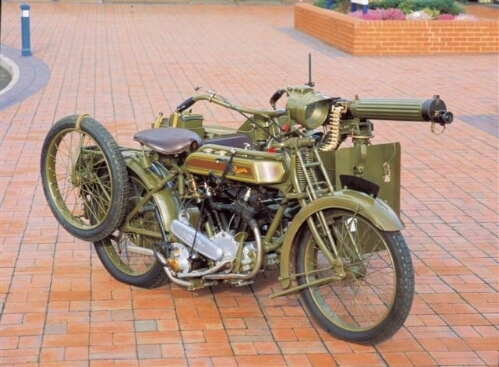 There were some sidecars outfitted with weaponry, namely the outfit of a Vickers Maxim machine gun on an English Clyno motorcycle. However this was for the purpose of transporting the machine gun to the front-lines where it would be deployed on a tripod, rather than being used to fire from. In my next post on motorcycle sidecars, I'll get into the post-World War 1 era and what it held for sidecars, as well as their instrumental role in World War 2.